The first time she came into my life she was such a soft ball of white fluff. She was a delight, very loyal and making sure her ‘herd’ was all right. 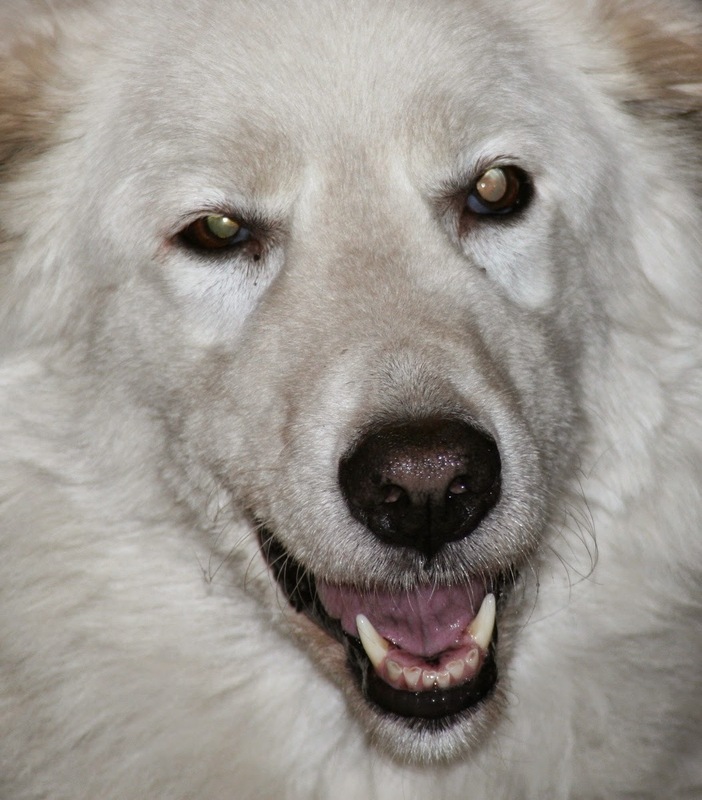 Being a Maremma, an Italian sheepdog, she bonded with us from the moment she entered our lives. Walking her, even as a puppy, she would tap her front paws against my ankles to tell me ‘where to go’; I had to stop her doing this as I wore stockings to go to work. My children delighted in her, lying on the floor with their heads on her flank, my son juggling her when he got older and big enough to lift her and toss her around his neck over his shoulders, something she had great pleasure in allowing him to do. We had once 10 young adults camping in our backyard, friends my daughter made overseas. They stayed 4 nights, what a delight it was to have them there. The first night, as their visit was impromptu, we had macaroni and shared the one bottle of bubbles we had in the fridge. They left one morning and it took my beautiful loyal dog a few days to get over the fact that she lost part of her herd. I am telling all this as when she was about 8 years old she seemed to have a problem with one of her hips and it looked it was getting worse. The vet gave her anti-inflammatory tablets and said that if they helped, great, if not than she had arthritis in her hip, common in larger dogs. One evening, I nudged her gently as she was lying in the way. She got up with difficulty and very slowly. It looked like she was partly paralyzed from the waist down. A little later she lay down on her good hip and sitting next to her, I lay my hands on her bad hip, gently resting on her. She bit me, she was in that much pain. I then lifted my hands off her and sat there doing Reiki. After about half an hour she moved a little and I took my hands off and left her there. The next day, when I came back from work, she was jumping up and down, twirling with a big smile on her face and looking at me. I made a big fuss of her as I walked to the couch. Sitting down, she ‘parked’ her bottom between my legs, with her head turned towards me, then off she went jumping up and down, galloping through the lounge room. She repeated this three times. Were we happy! She lived for another three years and never had this pain again.